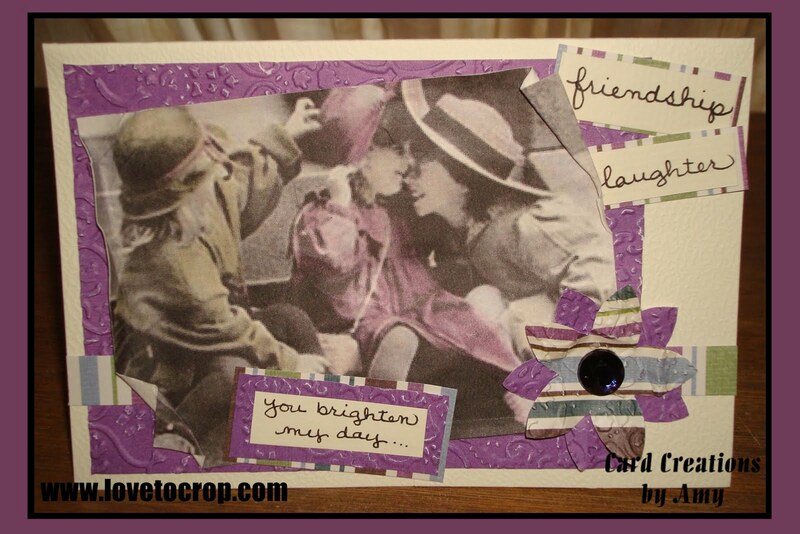 I used the Cuttlebug 'Textile' embossing folder (love that one!) for the plum paper that frames the photo, the 'you brighten my day...' phrase, and the flower. The photo was printed on cardstock so that I could distress the edges, lending to that vintage feel. 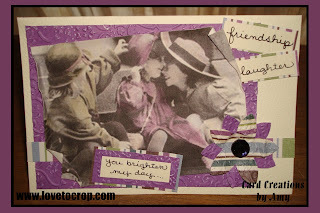 This card will be one of the cards we'll be making at the September Card Class on September 29th!! 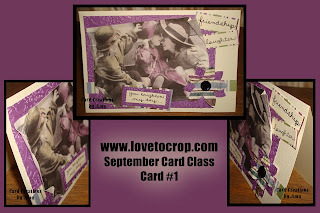 Each month, I am pleased to offer a class where participants create eight handmade cards perfect for sending to someone special... To see the rest of the cards in this month's collection, please be sure to sign up for email updates and/or become a follower! I will be posting the remaining seven cards for this month's class this week!! I'd love to read your comments on what you think of my 'Nostalgia' card AND on what YOU think of when you think of the Nostalgia theme... Thanks so much for stopping by, and have a great day!! Where did you find the vintage photo? Did you doctor it in Memory Manager or did it happen to look that way? Either way, it's great! I've got to make it to one of your classes soon! Scallops, flowers, and chalking inks -- Oh my! !